G. H. Hardy was a renowned English mathematician, famous for his contributions to number theory and mathematical analysis. Check out this biography to know about his childhood, family life, achievements and other facts about his life. Godfrey Harold Hardy, more popularly known as G. H. Hardy, was an English mathematician, famous for his contributions to number theory and mathematical analysis. From the very beginning, he was an intellectual genius, but initially he felt no passion for mathematics. But while studying at Trinity College Cambridge, he was drawn to Continental mathematics and later contributed significantly to different realms of mathematics, especially analysis and number theory. He proudly called himself a pure mathematician and never disguised his distaste for applied mathematics. Himself a Fourth Wrangler, he tried to abolish the Tripos examinations while teaching at Cambridge because he believed it had become an end in itself. He was also a great collaborator and had authored or coauthored more than 300 papers and 11 books. Apart from that, he is also famed for discovering and nurturing Srinivasa Ramanujan, then an unknown and untrained mathematical genius from India. Godfrey Harold Hardy was born on 7 February 1877 in Cranleigh, a prosperous village in Surrey, England. His father, Isaac Hardy, was the bursar and art master at Cranleigh School and his mother, Sophia Hardy, was a teacher at Lincoln Teacher's Training School. Both Isaac and Sophia came from poor families and therefore, in spite of being highly intelligent with considerable mathematical skills, they could not get university education. The couple had two children; Harold, their first born and Gertrude, two years his younger. The siblings were very close to each other. Harold Hardy was a mathematical genius from his very birth. It is said that he could write numbers up to one million by the age of two. Brought up in a religious Victorian household, he had to attend church services regularly. But there he spent his time factorizing the numbers on the hymn board. Hardy was equally fond of cricket. One day, while playing with a bat, he unintentionally hit Gertrude and damaged her eye to such an extent that she had to be fitted with a glass eye. Interestingly, the incident brought the siblings closer and they forever remained devoted to each other. He began his education at Cranleigh School. He later wrote that as a boy he did not feel any passion for mathematics. He simply thought of the subject “in terms of examinations and scholarships” and also found that if he wanted to beat other boys, mathematics came very handy. In 1889, he won a scholarship to Winchester College, an independent boarding school run in the British public school tradition. The school was famed for its mathematical teachings. He studied there from 1890 to 1896. Hardy did not enjoy school; life there was too harsh for a shy and frail boy like him. Although he had a passion for cricket, he never took coaching. However, he excelled academically and in 1896, entered Trinity College, Cambridge, with an open scholarship. 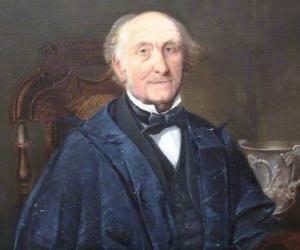 At Trinity, Hardy began his education under the mathematics coach R.R. Webb. But to his dismay, he soon found that Webb was more interested in preparing his students for the dreaded Tripos examinations and seeing them become Wranglers rather than teaching the subject. Hardy was not at all interested in that. He briefly thought of changing to history, but later changed his coach and very soon started studying under Augustus E. H. Love. From him, he had his first conception of analysis and learned what mathematics really meant. Concurrently, he also studied under Robert Alfred Herman for his Tripos. Sometime during this period, on the recommendation of Professor Love, he began to read ‘Cours d'analyse de l'École Polytechnique’ by the French mathematician Camille Jordan. The book, which introduced to him mathematical traditions of the Continent, had a lasting influence on him. This was also the time he joined the Cambridge Apostles, a secret society at the university. It was open only to the distinctive students and Hardy, with his quite charm, crystalline intellect, aesthetic sensibilities and love for meaningful conversations, became very popular among the members. In 1898, Hardy passed part I of his Tripos, occupying the position of Fourth Wrangler. Two years later in 1900, he passed the part II of the Tripos, which earned him a fellowship at Trinity. 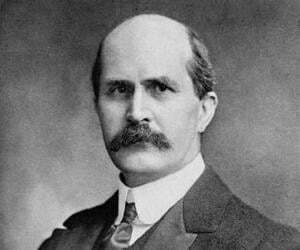 Also in 1900, he published his first paper, ‘On a class of definite integrals containing hyperbolic functions’. In 1901, he received the coveted Smith Prize, which established his reputation as a mathematician. Two years later in 1903, he obtained his master’s degree, the highest academic qualification at that time. Thereafter until 1906, he continued to work as a Fellow in Cambridge. 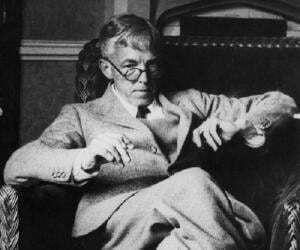 In 1906, G. H. Hardy began his career as a lecturer at Trinity College, Cambridge. Here he taught only six hours a week and spent the rest of his time on his research work, writing a number of papers on the convergence of series and integrals and allied topics. 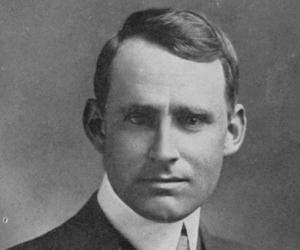 Although Hardy dismissed most of his early works as of little importance, he is still remembered for his 1908 work, ‘A Course of Pure Mathematics’, which for the first time tries to provide a comprehensive description of number, function, limit, etc. Until then, British mathematicians largely followed applied mathematics. The year 1911 was an important one in Hardy’s career, when he began to collaborate with John Edensor Littlewood, establishing a partnership that would last for the next 35 years. Together they began extensive work on mathematical analysis and analytic number theory, publishing the first series of papers in 1912. In early 1913, Hardy received an unusual letter, dated 16 January 1913, from an unknown Indian named Srinivasa Iyengar Ramanujan, a clerk under the Madras Port Trust. It consisted of nine pages of mathematics. At a first glance Hardy took it as a fraud, but on further reading he found it amazing and asked Littlewood to take a look at them. Subsequently in 1914, he arranged to have Ramanujan brought to Cambridge. Immediately after Ramanujan’s arrival in London on 14 April, Hardy and Littlewood started examining his notebook, which contained many new breakthroughs. But shortly after that, as the World War I broke out, Littlewood left to join the Royal Artillery as his war service. Hardy had also volunteered to join the army, but as his application was rejected on medical grounds, he stayed behind and continued with his work at Cambridge. Sometime now, he became the Cayley Lecturer at Cambridge. Realizing that Ramanujan was self taught, Hardy now started filling up the gaps in his mathematical education without disturbing his inspirations. Until 1919, the two mathematicians worked together to publish several papers. In 1919, G. H. Hardy was offered the Savilian Chair of Geometry at the University of Oxford. By then, he was deeply displeased with the authorities of Cambridge University over the dismissal of Bertrand Russell, the well-known mathematician and pacifist, and therefore took the chance of leaving Cambridge. He remained at Oxford till 1931 as a Fellow of New College. After the war, as Littlewood returned to Cambridge, they resumed their collaboration and in spite of living miles apart, they continued to co-publish a number of very important papers. In 1928, Hardy went to the USA, where he took part in an academic exchange program. While he spent the academic year of 1928–1929 at Princeton, Oswald Veblen took his place in Oxford. Also in 1928, he gave the Josiah Willards Gibbs lecture. In 1931, Hardy was invited to take up the position of Sadleirian professor at Cambridge. Although he was very happy in Oxford, he returned to Cambridge because he still considered it to be the center of British mathematics, and the Sadleirian chair to be the most important chair in mathematics. At Cambridge, he continued his collaboration with Littlewood and also co-authored a number of papers with other mathematicians such as Titchmarsh, Ingham, E. M. Wright, Edmund Landau, etc. Among them, the most significant are ‘Inequalities’ (1934), coauthored with Littlewood and ‘The Theory of Numbers’ (1938) which he wrote with E.M. Wright. Hardy had a heart attack in 1939 and thereafter his health began to decline and he started slowing down; but he continued teaching at Cambridge until 1942. Meanwhile in 1940, he produced one of his most memorable works, titled, ‘A Mathematical Apology’; it is an essay on the aesthetics of mathematics. In mathematics, G. H. Hardy is best remembered for his work on ‘Hardy–Ramanujan asymptotic formula’ and ‘Hardy–Littlewood circle method,’ while in biology, he is famous for his work on ‘Hardy–Weinberg principle’, which deals with population genetics. He is equally known for his 1940 book, ‘A Mathematical Apology’. In it, he had used the term "apology" to mean formal justification. Although it deals mainly with the aesthetics of mathematics, he had also added some personal content to it, giving us an insight into the mind of a working mathematician. G. H. Hardy received a number of awards, among which the most important prizes were Smith's Prize (1901), Royal Medal (1920), De Morgan Medal (1929), Chauvenet Prize (1932), Sylvester Medal (1940) and the Copley Medal (1947). 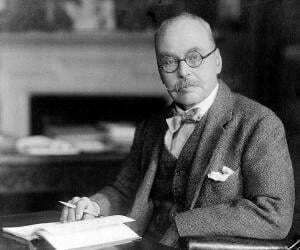 In 1910, at the age of 33, Hardy was elected a Fellow of the Royal Society. He was the president of the London Mathematical Society from 1926 to 1928 and again from 1939 to 1941. In 1936, he received an honorary doctorate from the Harvard University. G. H. Hardy never married. In his final years, it was his sister Gertrude who used to take care of him. In addition, he had many friends, with whom he had cordial relationships. He was highly passionate about cricket. Every morning, he used to study cricket scores with great interest. When it was not cricket season in England, he would study Australian cricket scores. Maynard Keynes once observed that had Hardy studied the stock exchange with similar interest, he would have become very rich. Although he was a self-proclaimed atheist he considered God to be his number one enemy and to fool God, he would often take thick sweaters, umbrella, mathematical papers and students’ examination scripts to the cricket ground. His theory was that, God would think he expected rain, so would provide sunshine. Hardy was a confirmed pacifist. The two World Wars were not only very painful to him, but they also made him angry that Europe had got involved in such meaningless destructions. In 1939, Hardy had a heart attack, which affected him both physically and intellectually. By 1945, his health had begun to deteriorate very fast and by 1946 he was more or less housebound. This disturbed him a lot. In early 1947, he tried to commit suicide by taking overdose of barbiturates. Although he survived the attempt, he died on 1 December 1947 in Cambridge. He was then seventy years old. Today, he is remembered for reforming British mathematics by introducing into it a Continental rigour and also for introducing a new tradition of pure mathematics at a time when the British mathematicians dealt mainly in applied mathematics. As a top student during his school days, Hardy received many prizes and awards. But he hated to receive them because the prize giving ceremonies were traditionally attended by the entire school. He never looked at the mirror and in hotel rooms he had it covered with a towel. He also hated posing for photographs and there are only five known photographs of him. When asked what his most important contribution to mathematics was, he unhesitatingly replied it was Ramanujan, the Indian mathematician he mentored.